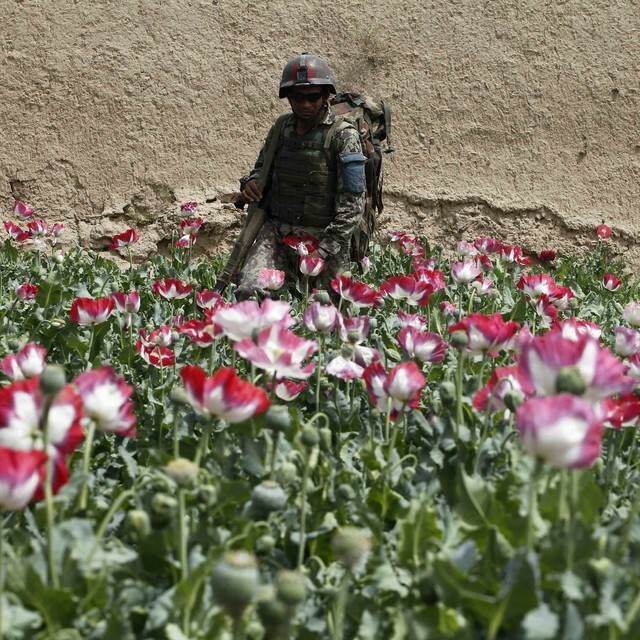 The UN Office on Drugs and Crime UNODC said the total area of opium poppy fields in Afghanistan was up 36% last year to 209,000 hectares 516,450 acres. Potential production of opium rose 49% to 5,500 tons, more than global demand. Southern provinces such as Helmand saw the largest increase. via Afghanistans opium production at record high | Circa News.